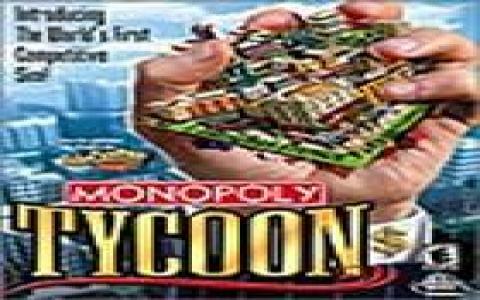 Inspired by the legendary property-building board game, Monopoloy Tycoon manages to keep to the spirit of the original, but transcends its limitations to create a compelling and satisfying gaming experience. The basic principle remains similar, with players attempting to generate profit through owning businesses and renting out properties. Features such as railways, building hotels and auctions are still present, but a great many new ones have also been introduced, including a greater emphasis on businesses (of which there are a huge variety), several scenarios with unique objectives and an interesting use of time to add challenge. Play is carried out against human or AI opponents and while it is obviously more fun to play against real people, the computer provides a lot of challenge. Although a great many options are available, the simple, intuitive interface allows total control at all times, with some helpful tutorials in case you get stuck. Graphically, the game is really quite charming with clean, smooth visuals and some great animations for the various characters, which lends them a tremendous sense of individuality, while the music is appropriately light-hearted. As a board game adaptation, Monopoly Tycoon is an undeniable success. Rather than simply being a direct translation, it brings the classic to life in an imaginative and immensely enjoyable fashion. Fans will appreciate the new additions, which give a greater sense of depth to the game, while newcomers should find much to interest them in the variety of scenarios and entertaining gameplay.